Zalora Supply Chain Operations Management Project discusses that The supply chain operations of businesses had benefited from great benefits through the application of Information Technology (IT) to the Supply Chain Management. Companies can now accomplish their strategic goals through this development, and thus they are being provided with capabilities that allow them to perform excellently. This report is focused on Zalora study; an online retail company specialized in the use of technology that offers a unique shopping experience. At the end of the study of the company’s current supply chain, a full concentration will be placed on the downstream fulfilment channels of Zalora. This process will be undertaken by our team. We will recommend some approaches the IT can be implemented in order to improve the operations and the ways in which these improvements will perfectly suit into the Zalora’s strategic goals. Additionally, our recommendations target to assist Zalora in establishing an extreme Just-In-Time (JIT) fulfilment model. We included in these recommendations a cost analysis and also a discussion on the implementation feasibility. In the provision of recommendations, we aim to surmount the challenges relative to developing an extreme-JIT fulfilment channel. We discussed these challenges together in the analysis of the suitability of the IT implementation into the Zalora’s strategic goals. Most significantly, this report offers a method not only based on Zalora, but for other related e-commerce business to follow. One of the branches of Zalora’s warehouse is in Joo Koon, the company offers three various direct courier service, delivery options, acceptance and collection of goods from a 7-Eleven store of customer’s choice, and finally, collection from a POPStation. Besides this, their retail outlet permits customers to pick up their deliveries too. Zalora is provided with responsible delivery drivers. For every day’s task, they start by first collecting the parcels from the warehouse based on the specific zone they are responsible for. Then, they move towards their respective locations to begin distribution. The allocation of drivers to a specific location optimizes the efficiency of the organization delivery system, because they are already familiar with the locations. In addition to this, customers are informed of their deliver beforehand. Basically, this option gives the customers the privilege to select a collection point at any of the 7-Eleven store they choose Island wide. This process is through TA-Q-BIN which is delivered to their doorstep – a door-to-door delivery service which operates with Zalora to help organizations operate this fulfillment channel efficiently. 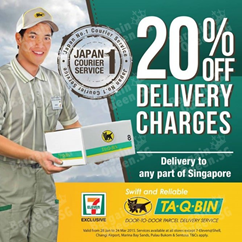 TA-Q-BIN collects the deliveries from Zalora’s warehouse and then delivers to the defined 7-Eleven store. The packages are specifically given to customers upon payment and undelivered items are returned to Zalora Warehouse. (Zalora, 2015) The fulfillment channel provides an alternative delivery location aside the customers’ homes, making the online shopping experience excellently convenient for the customers. The fact that the 7-Eleven stores are opened 24 hours for most of its branches this makes the pickup location more reliable and convenient. 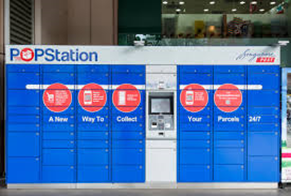 Just like the TA-Q-BIN, the SingPost POPstation is conveniently situated and easily accessible 24 hours a day, and 7 days a week. 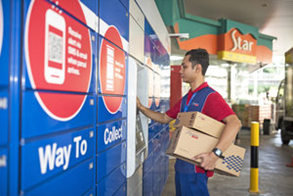 The customers can decide their parcel is delivered to a SingPost POPstation that is nearest to them. This strategy is very simple, convenient, and secured for customers to accept their parcel, they don’t have to wait for the delivery man to meet them at home. A tracking email and SMS notification are usually sent to customers to collect their parcel, after arrival at the POPstation, additionally, they can decide to either manually input the collection pin or scan the QR code. 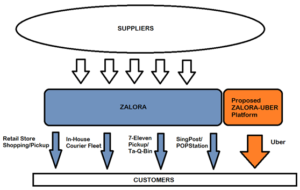 (POPstation, 2015) All delivery operations to the SingPost POPStation are totally managed by SingPost, who takes the items from the Zalora warehouse and delivers them to the specified POPStations. Although, Zalora uses different approaches to get items delivered to their customers, however, due to the utilization of local couriers to make the delivery process easier which takes place between 9am-6pm on business or working days. Zalora’s goal is to make the delivery time within 3 hours, but having a 24-hour delivery cycle still remains a big challenge. Recommending IT solutions for the improvement of an e-Supply Chain requires the necessity to fit the entire strategy of Zalora and most importantly help it perform more profitably. Zalora is an organization that adopts both fashion and technology to make sure there is sufficiency for an outstanding shopping experience for their customers. (Zalora, 2015) Additionally, Zalora intends to carry out this process through the provision of a fuss-free shopping experience. As a result of this strategic goal, our team has developed a SWOT Analysis to justify the reason why it is necessary to implement added IT systems to Zalora. Zalora is made of a very strong online retail platform. 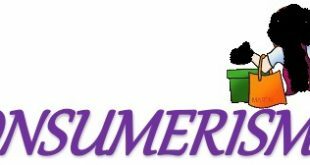 They are currently capable of supporting over 400 brands having over 30,000 products in their online warehouse and also have various fulfillment models as well as payment modes. In addition to this, Zalora has a pop-up retail outlet apart from their delivery services. Their scale makes the implementation of the IT network work hand-in-hand with these downstream supply chains and thus makes their activities feasible. There are various cases in which deliveries could get missing or are failed to be delivered in good condition. Since last-mile delivery services, such as SingPost and TA-Q-BIN are been outsourced by Zalora, there are tendencies that there wouldn’t be visibility over few of the customer services problems. E-commerce had become a trend in the world today leading to a tougher demand for fulfillment requirements in which lead time becomes shorter. Zalora’s strength in the online platforms positions it to develop a better and faster fulfillment channel. The increase of ridesharing with services such as GrabTaxi and Uber allows for potential for on-demand transportation. Thus, leading to potential effects on how rapid transportation can be organized for deliveries and the lead times are then cut down significantly. According to Internet Live Stats (2015), about 87% of the population of Singapore is gaining access to the Internet daily. This adoption will lead to the use of the online retail models and may be hampered by shoppers who prefer to purchase their items, such as wears through retail stores. Additionally, the timing of service entry into the market is another consideration. On the account that e-commerce business carryout this model, Zalora may lose a portion of its market share. For example, Amazon recently launched its recent Amazon Prince, which is now being serviced in the United States, and this aims to start delivering orders within approximately one, since Singapore is a small marketplace. The thriving trend propels our team to understand the position in which Zalora is in, in which it can implement an extreme-JIT platform allowing customers get their items delivered to them in a short time. Considering this ridesharing services, which are beginning to gain more popularity in Singapore, Zalora can take the advantage of using the ridesharing concept to do their last-mile delivery services. Our recommendation focuses on Uber as an important potential collaborative partner and then the development of IT platform that pose as a backbone for the responsive level needed for the extreme-JIT fulfilment model. There are some imperative issues that are needed to be addressed by the recommended IT platform. 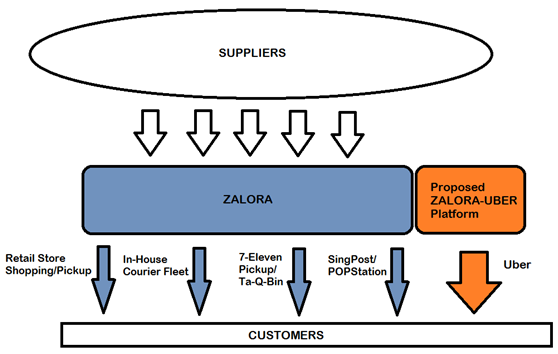 The first two major issues include “security and visibility on deliveries.” When we consider the weaknesses stated in the SWOT analysis, it becomes necessary for Zalora to have a platform that make sure items are delivered to customers in full and also permit them to be able to track the exact location the deliveries are in real time. The provision of visibility includes allowing the drivers involved in understanding the order information. Another issue, which is the third, is the development of a payment platform that permits a secure and smooth transfer of funds between the customer, Zalora, and also Uber. Finally, a cost analysis will be provided for the feasibility of this model. In order to address these issues, our recommendations intend to help Zalora in the development of an extreme-JIT fulfillment channel for the achievement of their goals of having a fuss-free shopping experience while still having the attached benefit of having a shorter lead time. Our recommendations also intend to focus on the downstream and the last-mile fulfillment feature of this extreme-JIT model and several assumptions will be made concerning the upstream activities based on Zalora’s strength as well as the information of the company behind it. Our major assumption is focused on the capability of the Zalora Company in Singapore meeting the demands of extreme-JIT models. This is due to Zalora having its own warehouse in Singapore and the country’s small scale market system makes it very easy to support any of these activities. Additionally, the owners of Zalora have demonstrated an interest to reduce lead times more in 2015 in order to be able to achieve delivery times within one hour. The concept of the extreme-JIT is closely similar to the current concept of Amazon in the United Kingdom and the United States of America. The only difference is that Zalora chooses to outsource their delivery services to Uber in order to be able to focus on their major competencies and thus have a lowered capital investment. The delivery address is determined by the buyer. Upon completion of the registration process, the cost, tracking number, and estimated arrival time is given to the customer. The order is then sent to the warehouse in order to be packaged for delivery. Warehouse staff will send an alert to Uber to assign a driver to the warehouse location for the pickup and a delivery cost is tagged. Immediately the driver picks up the delivery, a notification is then sent to the customer for the current status of the location of their item. This tracking is done using via the GPS. The driver and customer will share details relating to the real time location, phone number, the item(s) ordered, and the estimated arrival time. Payment is sent to Zalora electronically by the customer, then Zalora to Uber. Customer receives the item, signs off the package and can then review the performance of the driver on Uber. The possibility of this integration is based on the condition that Zalora is capable of integrating the existing technology of Uber into Zalora app, thus permitting the customers to have a smooth experience without the process of downloading the Uber’s app. The figure 6 below shows an example of an additional tab developed for Uber’s integration. 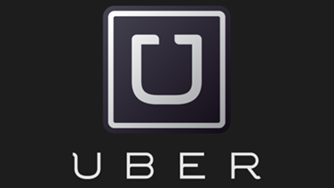 Upon selection, the user will be allowed to access a modified version of Uber’s platform. Meanwhile, figure 7 shows where the customer has the driver’s visibility, package in transit, the order number, and the delivery payment. The collaboration of Zalora and Uber gives the need for each company receiving the summed amount of money after customers make their payments. Zalora and Uber need a platform where the combination of CloudPlay and Uber systems is necessary, which is presently in the market already. The presence of the implementation of this new platform will help the payments proceed to Zalora and Uber swiftly and automatically. After this process, the Uber drivers in 600metres (radius) close to the Zalora warehouse would get a prompt on the device provided to the drivers along with the information of the product, the delivery location, and most importantly the customer’s details. This process will help locate the parcel’s current location and the information of the driver. 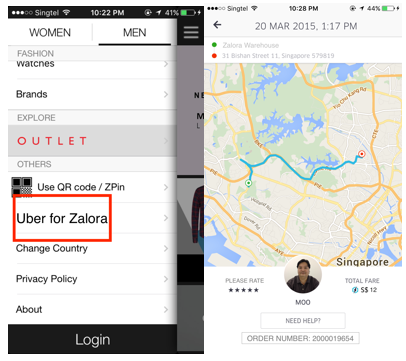 When the item is placed in the transit, the platform of the Zalora-Uber becomes visible to both Zalora and the customer. Helps in the development of the KPIs for the new fulfillment channel. The extreme-JIT model takes security so important, this is because data is being shared between the customers and the Uber drivers, thus some personal information of the customer must be kept private in the Zalora database. The reason for the necessity of this information is to provide recommendations for relevant products purchased or watched at as well as for customer support reasons. In addition to this, past transactions are recorded on the customer’s profile. Therefore, when a new order is made by the consumer, there’s only a minimal entry of data. Thus, reducing risks associated with leakage of customer information to Uber and its drivers during the movement of information between Zalora, Uber, and also the customer. Furthermore, the security of goods is a concern. This is important for insuring the items purchased by placing contingent liability on Uber to ensure that items are properly delivered totally and without any damage. This implies that Uber takes responsibility for minimizing the risks of any missing items or without the right packaging. Thus, they must check the item in the package or properly repackage the item before passing it to the driver. In case the package does not meet the expected delivery, Zalora is liable for any of these damages. Aside from this security of goods and customer data, the security of driver is also taken into consideration through the IT platform. Selecting a reliable driver requires that the customer can carry out a background check on the Uber driver they intend to choose for their delivery. Once the order had been successfully delivered, customer can place a feedback of their experience. The major key issue in the implementation of the extreme-JIT platform is Visibility. Customers who intend to use this fulfillment channel would probably need their orders delivered faster. Hence, the need for technologies that provides such end-to-end visibility in the system arises, for customers to know the exact location of their deliveries once requested. The end-to-end visibility tends to provide a controlled access and transparency of accuracy, good timing, and completion of event and data. (Terry, 2015) The mobile application allows the delivery to automatically update the customer through the whole process. This application also provides all information of the Uber driver including their contact number and photo identifications. Thus, allowing the customer to contact the driver and hence experience real-time visibility of their orders. The purpose of Zalora’s choice for Uber rather than other local courier services such as RedMart and SingPost is that Uber drivers are readily available to provide an instant delivery and the cost of this service delivery is more reasonable. 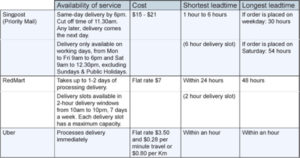 It is obvious from table 2 that Uber is capable of processing and delivering an item immediately once the order is placed compared to the other courier. Additionally, Uber has the ability to reduce delivery time from what could take more days and night, just within few hours. However, the cost of delivery in this case is set at a flat rate of $10 rather than a variable cost structure which goes by the meter. Basically, this cost structure is off Amazon Prime, which is presently being operated in selected areas of the New York City. Manhattan is made of a 714.3 square kilometers of land area, which is definitely feasible for Zalora to accomplish its goal in the delivery within three hours after an order is placed in Singapore, since the country has a related land area of about 718.3 square kilometers. This implies that this flat rate is suitable for Singapore’s scale of operations. This new collaboration between Zalora and Uber reduces cost on in-house fleets and efficiently utilize its man-power. The application of our recommendation shows that Zalora can overcome the lingering challenges of accomplishing an extreme-JIT platform. Aside from addressing these challenges, it is important that the platform can represent a model for other e-commerce businesses to follow most especially in relation to the increasing popularity and choice for online shopping. Therefore, our team’s recommendations will assist Zalora to provide a trustworthy fuss-free shopping experience to its customers in real-time. Amazon 2015, Amazon Prime Now, Amazon, United States of America, viewed 24th September 2015, <http://www.amazon.com/b/ref=pn_surl_lp/?node=10481056011>. Chan R 2012, Net fashion start-up finds a foothold, Straits Time, viewed 20th September 2015, <http://jakartaglobe.beritasatu.com/archive/net-fashion-start-up-finds-a-foothold-in-singapore/>. Internet Live Stats 2015, Internet Users by Country, Internet Live Stats, United States ofAmerica, viewed 24th September 2015, <http://www.internetlivestats.com/internet-users-by-country/>. Zalora 2015, About Us, Zalora, Singapore, viewed 24th September 2015, <http://www.zalora.sg/about/>. Q1: How do the company communicate with the suppliers? – We communicate with them through emails, calls and internal notes. Basically the conventional methods. Q2. How many suppliers do Zalora have? – We have too many to keep count, because we have zalora website. Zalora Marketplace and our store as well. Q3. Do you have any systems like e-srm currently to communicate with your suppliers? – No we currently do not have anything like that. Q4. Where is the current warehouse located at? Q5. How did the company delivers the goods? 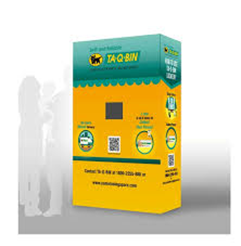 – We have our very own Zalora’s delivery man, customers can also choose to collect their parcel at a 7-Eleven of their choice, POPStations or TAQBIN. Team had narrowed down a range of company and chose a topic which was how to have extreme JIT for Zalora delivery service. Team had delegated roles for the report.